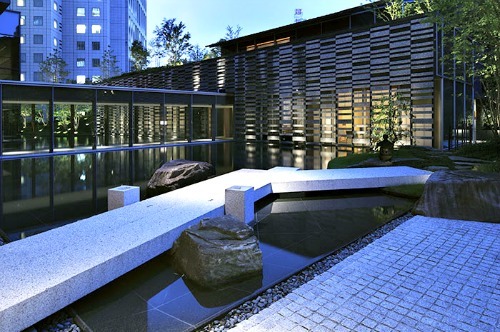 A hotel located in the heart of Tokyo’s metropolis and next to the official residence of Japanese Prime Minister Shinzo Abe is being positioned as a preferred accommodation for Filipinos visiting Japan. Lead airline and tourism management company Aviareps Philippines on Wednesday said that they will be positioning The Capital Hotel Tokyu as the choice hotel for Filipinos traveling for either business or leisure. Aviareps Philippines director Jean Lugan said the hotel, a prime property they are handling in Japan, is an ideal place to stay for Filipinos because of its location. “We are making a renewed push in several key international markets and the Philippines is very high on Aviareps radar," Lugan said. He further said that The Capital Hotel Tokyu is currently looking at the Philippines as a niche and developing market which it expects to grow at a fast pace over the next two years. "The Capital Hotel Tokyu is projecting the Philippines to be one of its most important markets not just in the Asian region but globally," he added. "The Capitol Hotel Tokyu provides this along with exceptional hospitality and service that is Japanese at heart, but expressed within an international flair,” Yamazaki said. “As such we are proactively reaching out to Filipino travel professionals to partner with us to promote these unique experiences to their clientele,” he added. He said that many of the hotel’s Filipino guests currently travel to Japan for leisure, however, the company would like to reach out to more Filipino business travelers as well. The Capital Hotel Tokyu has 251 rooms including 13 suites that are designed in contemporary Japanese style with each featuring traditional interior elements of shoji (paper screens) and expansive six-meter windows. Four exclusive suites on the fifth floor overlook landscaped gardens and the historic Hie shrine. The hotel also offers exclusive butler service tailored to each guest’s demands. Last year, the Japan National Tourism Organization noted a 30 percent increase in arrivals from the Philippines as compared to 2015 with close to 350,000 Filipinos visiting their country. Since Japan relaxed visa requirements for Filipinos in 2014, there has been an annual steady increase in Filipino tourists to Japan.